The Caterpillars of this species are thought to live on the ground feeding on dead leaves of various species of MYRTACEAE. 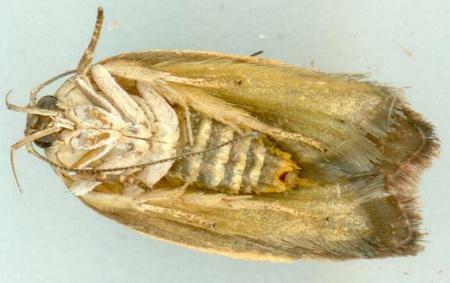 The caterpillars live and eventually pupate in an oval case constructed from two pieces of dead leaf joined with silk. 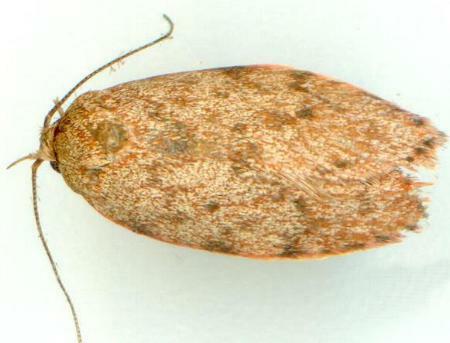 The adult moth has mottled brown forewings each often with one or two vague dark spots. The hindwings are off-white darkening toward the margins. The wingspan is about 2 cms. CSIRO Publishing, Melbourne 1994, p. 299. Volume 29, 1864, p. 567.